News Congratulations Top Six Changemaker Challenge Winners! UPDATE: T-Mobile CEO John Legere Picks Six Changemaker Favorites! Bellevue, Washington — August 22, 2018 — The morning after the top 6 Changemaker Challenge teams presented their world-changing ideas to T-Mobile's Senior Leadership Team, John Legere made a surprise visit to the Changemaker Lab to share exciting news. Legere announced that, on top of his two previously-announced CEO Picks, he was SO inspired by what he heard the day prior, he decided to choose ALL SIX of the top teams as CEO Picks! Congratulations to ArtPass, Aware, Dios Del Sol, Echo Effect, Peerlift and Yellow Tulip Project. In addition, Legere announced he would be making a personal donation of $30,000 to the Top 6 Changemaker Challenge teams – an additional $5,000 per team on top of the $5,000 they have each already received from the T-Mobile Foundation. All six CEO Picks will receive another all-expenses-paid trip back to T-Mobile’s Bellevue HQ to super-charge their projects with in-depth mentoring from the T-Mobile legal, marketing and finance teams – and they will each get to appear with John on his Slow Cooker Sunday Facebook show …giving them the chance to create massive awareness and support for their ideas with Legere’s 4 million (plus) viewers! Congratulations to the Top 6 Changemaker Challenge teams – and CEO Picks! Bellevue, Washington — August 17, 2018 — Today marks the next major milestone in the first T-Mobile Changemaker Challenge, a nationwide search for teens and young adults with big ideas for how to create positive lasting change in their communities. Just as 30 winning teams are packing their bags to head to T-Mobile’s Bellevue HQ for the Changemaker Challenge Lab that starts on Sunday, August 19, T-Mobile reveals the top six Changemaker Challenge teams chosen for their innovative and inspiring changemaker qualities. Congratulations to ArtPass, Aware, Dios del Sol, Echo Effect, Peerlift, and The Yellow Tulip Project. Judges from T-Mobile and Ashoka chose these as the top six teams based on creativity, commitment and connection to their communities. They will now have a unique opportunity to present their changemaking ideas to a panel of T-Mobile's senior executives for feedback, encouragement and advice on how to turn their revolutionary ideas into reality! Of the top six teams, two teams will be chosen as T-Mobile CEO John Legere’s personal “CEO Picks” — and will receive an epic Legere-worthy prize package! Volunteering at his local hospital two years ago, Malcom stepped in to the Oncology playroom and was overwhelmed by what he saw. He was compelled to help alleviate the pain of the kids he met, and offered up his personal escape: art. ArtPass now has 62 chapters across the globe donating art supplies to youth in hospitals -- with an aim to not only improve the immediate quality of life of children in the hospital, but to also ease the stigma of illness and hospitalization and create positive memories of the medical field. With international and domestic programs, Malcom, now 17, wants to increase the scale of his organization, bringing the relief ArtPass has given almost 7,000 kids so far to many millions more. Babysitting is a routine part of the lives of many young people -- but Sarah's experience taking care of Samantha, a child with autism, inspired her to do more. Drawing a parallel between her own experience overcoming stereotypes as a proud hijabi and the stereotypes that people in the special-needs community must overcome, Sarah saw a need to educate others. Aware helps teens open an associated community club of general and special education peers. Club members learn about each other while eating lunch together, attending sporting events, and participating in major high school happenings like homecoming, prom, and spirit weeks. The club's framework provides special needs students with the opportunity to participate in school social experiences that are often unavailable to them and promotes the understanding general ed students need, taking the lead in endorsing a more inclusive environment. In the aftermath of Hurricane Maria, 22-year-old Jose was inspired. 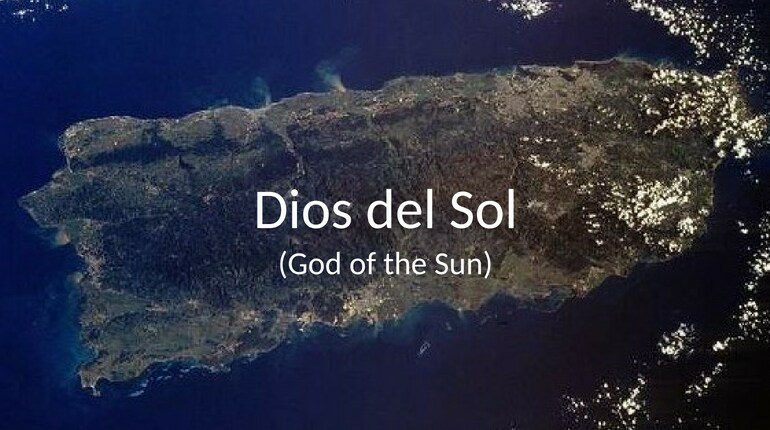 The old, centralized model of energy distribution was a root source of Puerto Rico's energy crisis, and Dios del Sol's goal to overhaul that system is a key part of the solution. This community-led initiative would use partnerships with faith-based organizations, Puerto Rican solar energy associations and volunteer s to help churches finance, transition to, and ultimately manage solar microgrids. These microgrids would feed the greater grid with a surplus, but still function independently -- if needed -- to serve local communities in times of crisis. Today's younger generation is highly engaged in social media and video games and takes over a million selfies a day! Russel believes there's a way to harness the fascination with social media and gaming, leveraging those interests for good. Echo Effect is an app that challenges youth to turn their selfies into good deeds, gamifying "selfies for selflessness." Through national challenge concepts -- sending a letter to a veteran, unloading groceries for the elderly, donating a dollar to a charitable cause, or engaging in direct service within marginalized communities -- moments that we capture daily will mean much more than the selfies of today. By awarding a point for a good deed and additional points for each subsequent act of kindness it inspires; users of the Echo Effect app can create an "echo" of positive action across the globe. The founders of Peerlift spent hundreds of hours individually trying to realize their dreams of applying to and attending college while managing a variety of other commitments. They identified a need for a system allowing them to fulfill their other obligations (schoolwork, part-time jobs, family commitments) while being efficiently connected to college opportunities. Peerlift crowdsources info and connects high schoolers to six different categories of opportunities: scholarships, summer programs, internships, study abroad programs, awards, and college fly-in programs on their site -- and all opportunities ensure financial aid. During Julia's sophomore year of high school, two of her closest friends took their own lives. While struggling with her grief and her own depression, knew she needed to let others know that "it's OK not to be OK,", and founded The Yellow Tulip Project. Using tulips (one friend's favorite flower) and the color yellow (the other's favorite color), The Yellow Tulip Project opens a door to conversations about mental health with a symbol of hope and renewal. Inspired by her message, Alison joined Julia, and together they're smashing the stigma and normalizing the conversation about mental health struggles. By planting tulip bulbs in the fall and welcoming them in the spring, they host community-wide events that offer a platform for people to be honest and open about their mental health struggles. Mobilizing an active network of YTP Ambassadors who bring this platform to schools, the message YTP spreads is simple and clear: Hope Happens.